It was a night of surprises, the web's first international Dylan Top 30 song voting on our website ended with a rather surprising winner: "Visions Of Johanna", the seven-and-a-half minutes long epic ballad off the essential "Blonde On Blonde" album from 1966 made the race. 44.1% of the participants voted for the album track, which hasn't even been released as a Single, except for a German 7" mono EP B-side. The Top 10 also included two songs respectively of "Blood On The Tracks" ("Idiot Wind" and "Tangled Up In Blue"), "Highway 61 Revisited" ("Like A Rolling Stone" and "Desolation Row") and "Bringing It All Back Home" ("Mr. Tambourine Man" and "It's All Right Ma (I'm Only Bleeding)"). 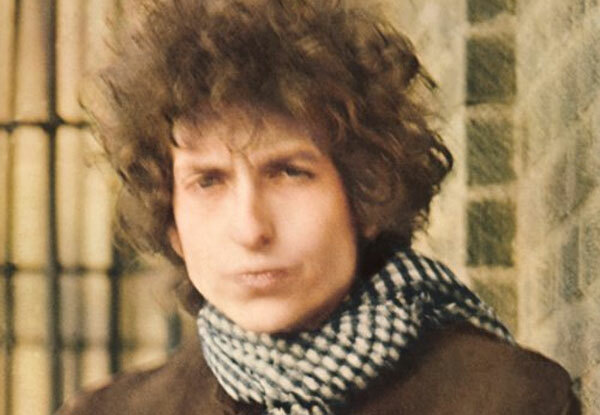 "Tangled Up In Blue" reached the second spot and even managed to beat "Like A Rolling Stone" by two votes. The oldest song in the Top 10 was "Don't Think Twice, It's All Right" from 1963's "The Freewheelin' Bob Dylan") at #10, the newest was "Not Dark Yet" from 1997's "Time Out Of Mind" at #6. "Blind Willie McTell" was the most popular rare track at #7. The "Infidels"-outtake featuring Mark Knopfler on guitar, has only been released on 1991's Box Set "The Bootleg Series Vols. 1-3: Rare & Unreleased 1961-1991". UPDATE: You can now rate all songs on offically released Bob Dylan albums directly on tweedlr.com. The ratings will then also appear on the song pages on this site!